Lift Tech Marine carries a 2 year warranty on all direct drive motors and a 5 year warranty on our AC and DC wheel drives. Lift Tech Marine warrants our motor from defects in materials and workmanship under normal use for a period of 2 years on direct drive motors and 5 years on wheel drive systems from the date of purchase as evidence by the purchase receipt. During the warranty period, Lift Tech Marine will repair or replace the motor if defective. This warranty is limited to the purchaser and is not transferable. 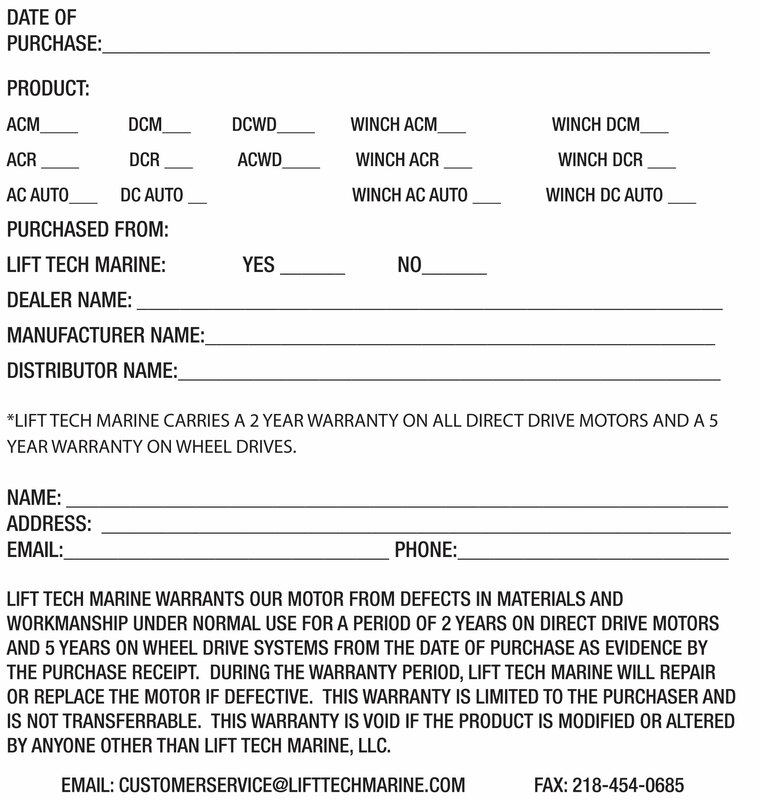 This warranty is void if the product is modified or altered by anyone other than Lift Tech Marine, LLC. Click on the PDF to download or print a copy of Warranty Card.